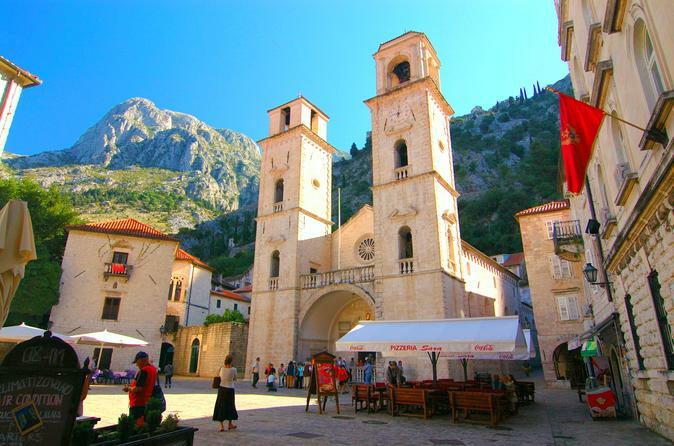 This walking city tour of the Old Town of Kotor gives you a great introduction to this UNESCO World Heritage Site. If you are staying in Kotor for couple of hours only, it is providing a wealth of information in a short period of time. 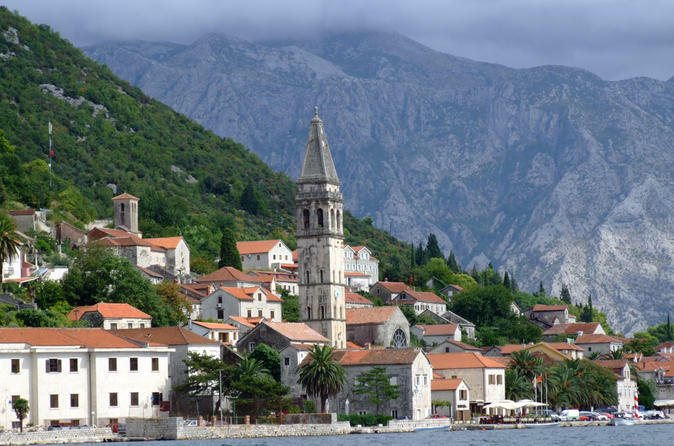 If you are staying several days in Kotor, Perast, Tivat, Herceg Novi or other places around the Boka Bay, it is a good starting point in your exploration of the region. Explore Kotor city with local guides and learn about its history, architecture, culture and cuisine. 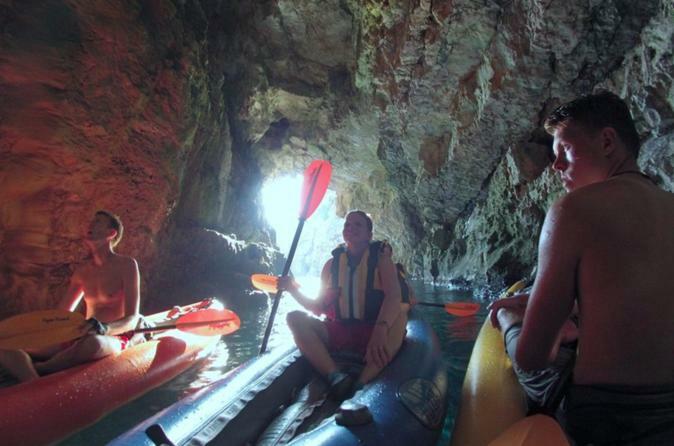 This 5-hour Blue Cave kayak and snorkeling adventure takes you to one of Montenegro's must see coastal spots, locally known as Plava špilja (The Blue Cave). This is a great place for swimming, snorkeling and underwater photography, this geological attraction can only be accessed by boat or by kayak. Also, we visit a number of secondary nearby caves that can only be accessed by kayak. 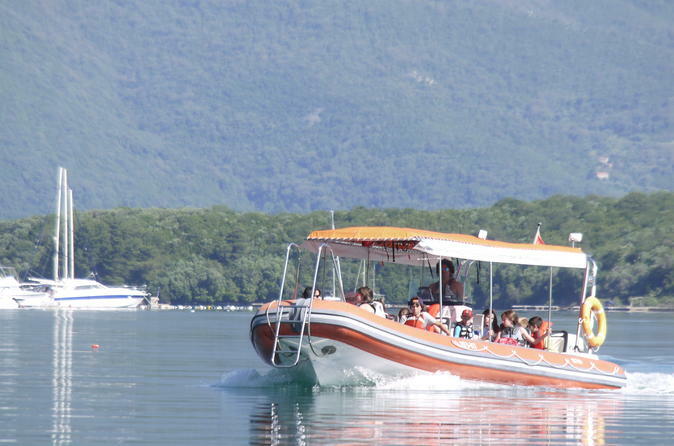 Explore Montenegro with this daily boat tour from Kotor. Embark on a 2.5-hour journey with 2 stops, each lasting 30 minutes. The first stop to visit is Our Lady of the Rocks Island and the second stop is in old town Perast. 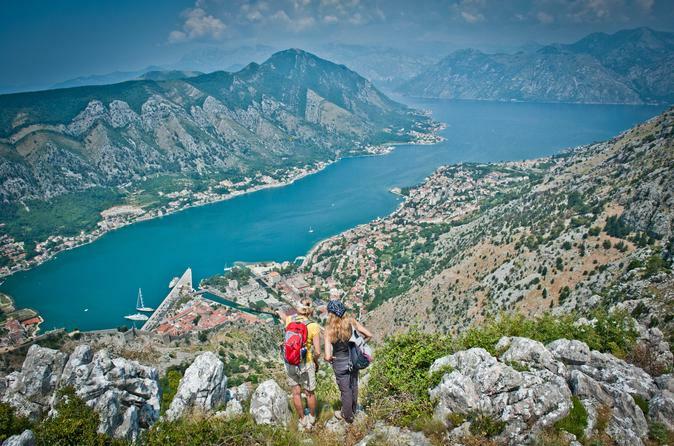 Explore the Bay of Kotor in a gentle cycling self-guided round trip along the beautiful coastline of the Bay. 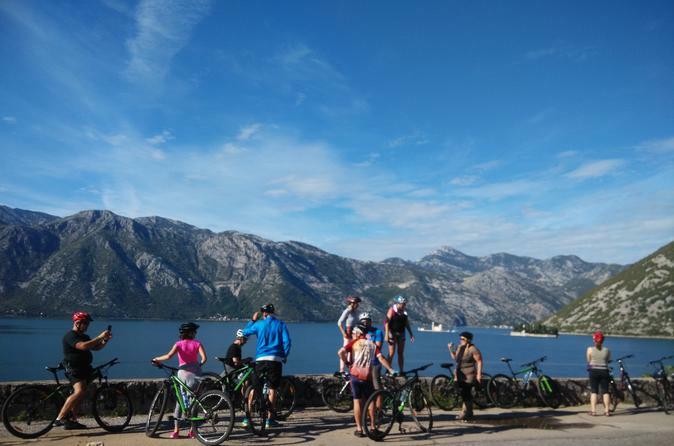 Small group guided cycling tour with stunning views at Bay of Kotor. 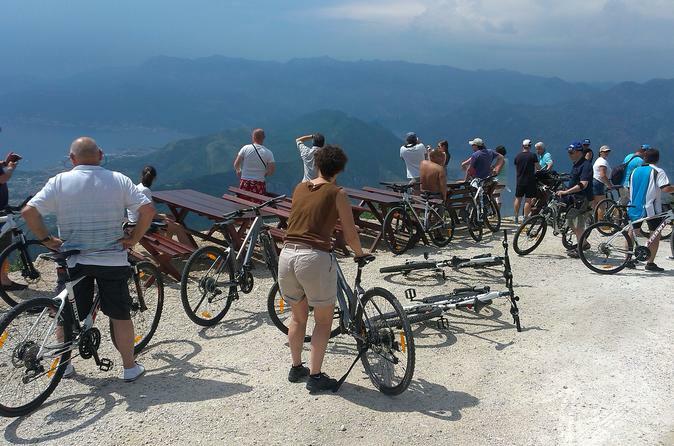 In this cycling panoramic tour you follow the old Austrian road once connecting Cetinje (Old Royal Capital), village Njeguši and Kotor. Descend from Njegusi village to the old town of Kotor. 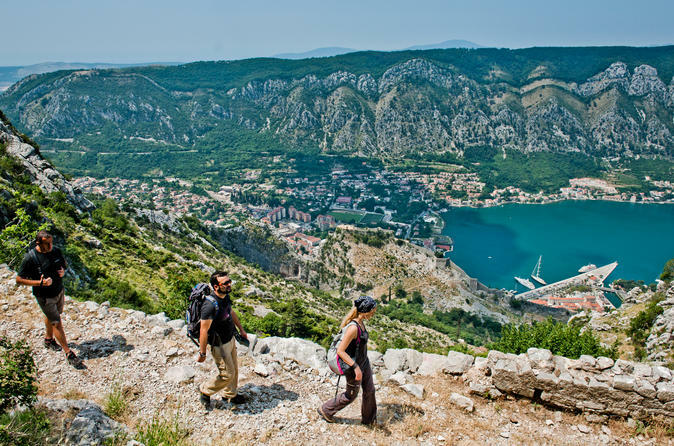 Walk along old military and trade trails and enjoy magnificent views at Bay of Kotor. Finish walking on a stairway ending directly in the hurt of Old town of Kotor. When we say epic, we mean it. 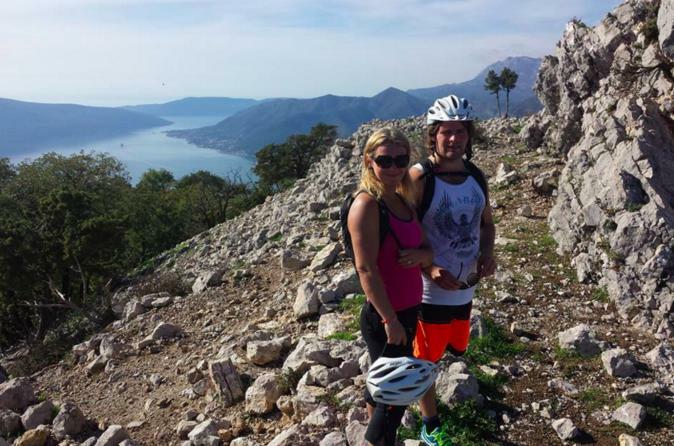 25 Turns is an easy, mostly downhill bike ride with panoramic views of Montenegro, Bosnia and Croatia. This is an express tour that takes about three hours depending on the rate of descent and number of photos stops made, so very appropriate for cruise ship passengers or those on a time budget. 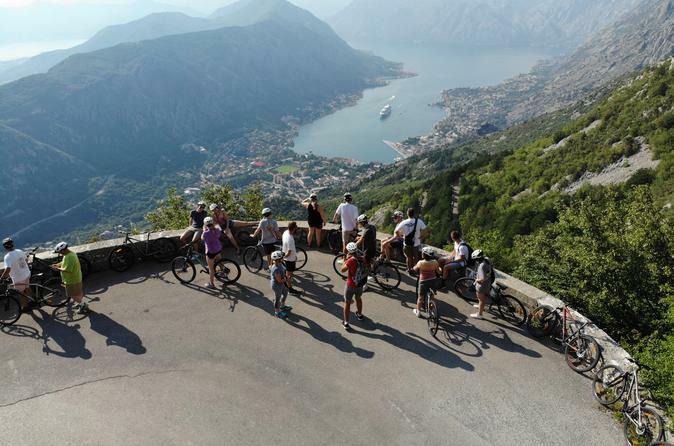 Our minivan will take you to Krstac where your guide will give you a short history of the area, and safety briefing, before you begin the bike descent to Kotor. 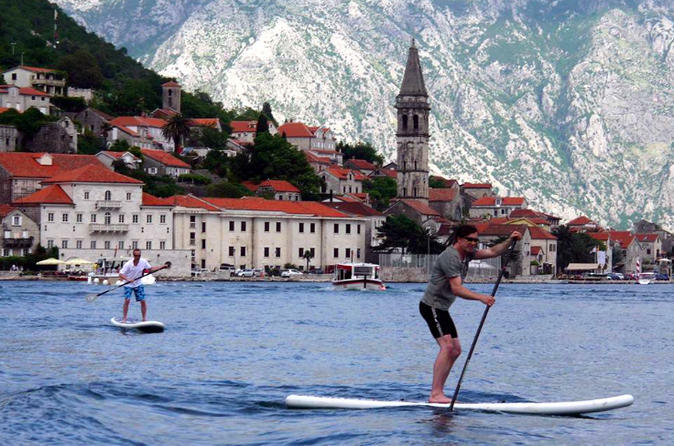 Explore and enjoy Kotor Bay on a stand-up paddleboard (SUP). SUP around St. Marko Island and the Island of Flowers adjacent to the Solila Nature Reserve. The tour starts with a lesson and instructions about various places to visit. SUP is easy, even for beginners, and everyone should master it during the course of the first 15 minutes. Equipment includes inflatable SUPs by ULI (made in the USA) which are wide and very stable, personal flotation devices, dry bags and of course paddles. Visit the Baroque city of Perast facing the two beautiful islands. The famous Church of the Lady of the Rocks is located on one of the islands. Enjoy your free time to discover it all. See the Kotor Rivera from two dynamic perspectives, by paddle board and by bicycle. 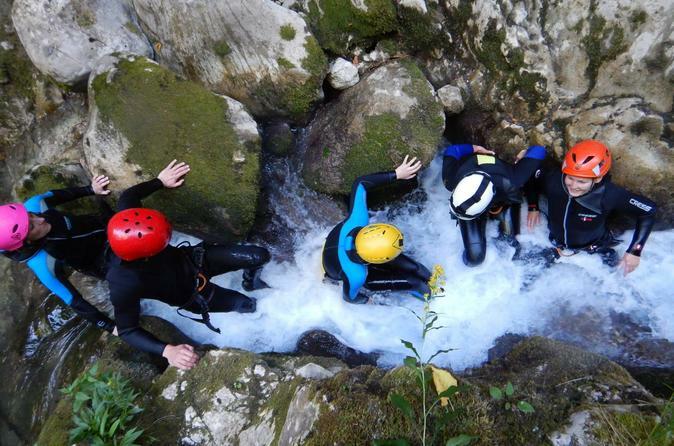 This four-hour multisport adventure is perfect blend of sport and tourism, offering an active exploration of Kotor Bay and the towns of Kotor, Dobrata, Muo, Prcanj and Stoliv. First, you'll get an orientation of the places to visit, and then a SUP lesson if needed. 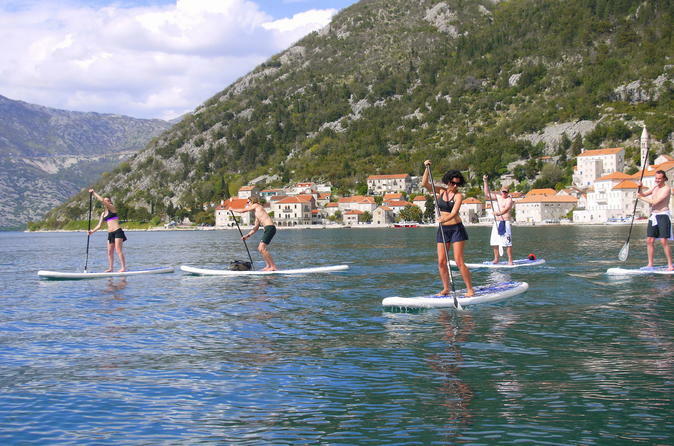 Your approximately 75 minute SUP tour to Prcanj will take you to your bikes, which you can use to explore the entire area, finishing up back at the art center in Kotor. A guide will give you suggestions for where to go and what to see with your bikes. Enter another world, Art Inside! is an offbeat visit to an artists-in-residence program at the Dukley European Art Center. This laboratory for contemporary art hosts international artists from around the world, each of whom lives and works in residence for three to six weeks with a mission to weave impressions of Montenegro into their art, after which every residents stay culminates in an exhibition of their work. At any given moment, DEAC hosts from 4-8 artists working in a wide variety of media. This is a unique opportunity to meet contemporary artists, watch them create and learn about their backgrounds, methods and philosophies. The Art Inside! 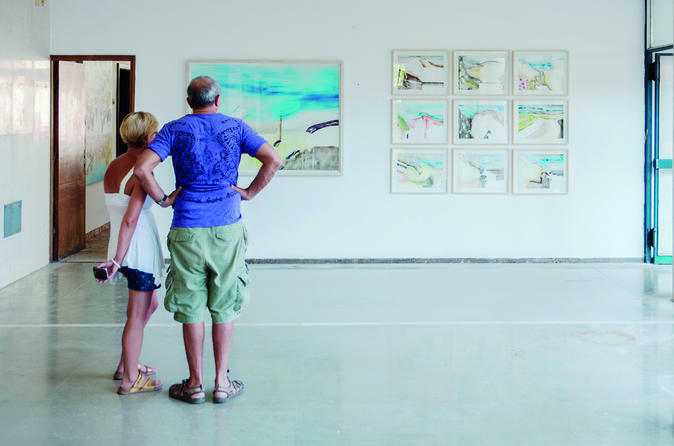 tour is hosted at the Dukley European Art Center which was founded by Marat Guelman who was one of the original forces in the contemporary art scene in Russia. Guelman now lives in Montenegro where he works full-time, helping to stimulate Montenegro's cultural potential. 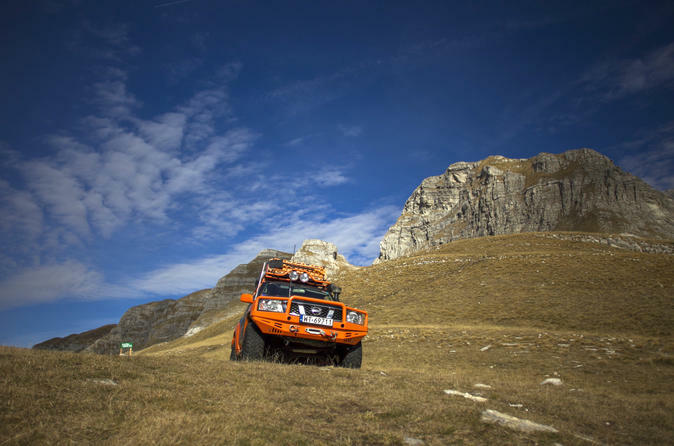 Your unforgettable impressions guaranteed if you go for our private off road tour in Montenegro by specially equipped Nissan Patrol. You will be lead by a friendly, informative and professional guide! If you would you like memorable photos from your holiday or wedding in Montenegro, then head off with us on a yacht trip with a photo shoot along the Bay of Kotor. On this tour you will have opportunity to see great number of monuments of the medieval architecture: churches, palaces of the wealthy families, museums, stylishly made gates and a great number of stairs. Cultural, natural and historical wealth of Kotor was registered on the list off the World's Natural and Cultural Heritage of UNESCO. After sightseeing of beautiful streets and squares of the Old town Kotor you will continue into direction of Perast. 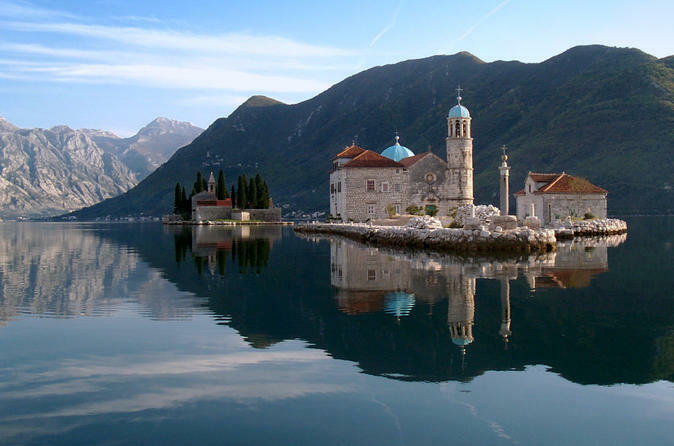 During your journey through Perast, you'll see numerous sacred monuments. 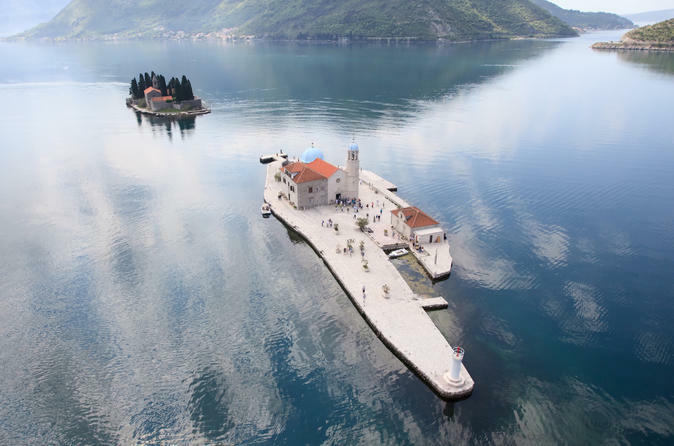 Take a private motor boat for journey to island “Our Lady of the Rock”, a Baroque‐style church situated on one of two islets in the Bay of Kotor. The islet is man‐made and its original church was built in 1452. Unique tour during which you can see some spectacular view points, incredibly beautiful places, historical monuments. You will be driven on old roads through stunning scenery and at the end be able to swim on a pebble beach. It’s a full day tour which will stay in your mind forever and make you want to come again. In just 12 hours you are going to visit Njegusi village, Lovcen NP with mausoleum, Cetinje (Old Royal Capital), River of Crnojevic and Budva with time for swimming! 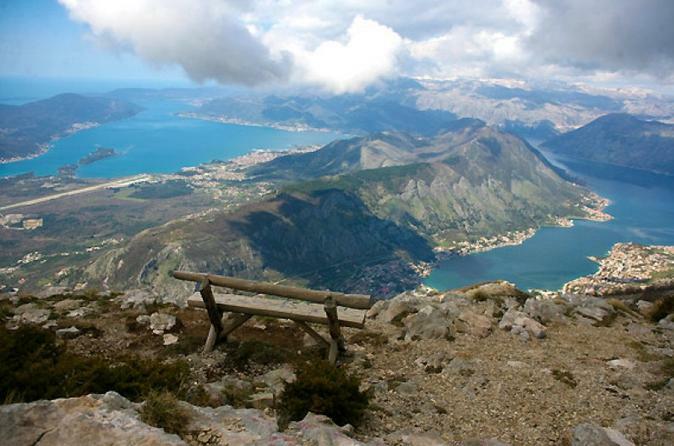 Mountain of Lovcen rises above the coastal region and is the backdrop of the city of Kotor. The Mountain of Lovcen is proclaimed a National park that includes the highest and central part of the entire Lovcen massive. Njegos Mausoleum is located on the top of Mt. 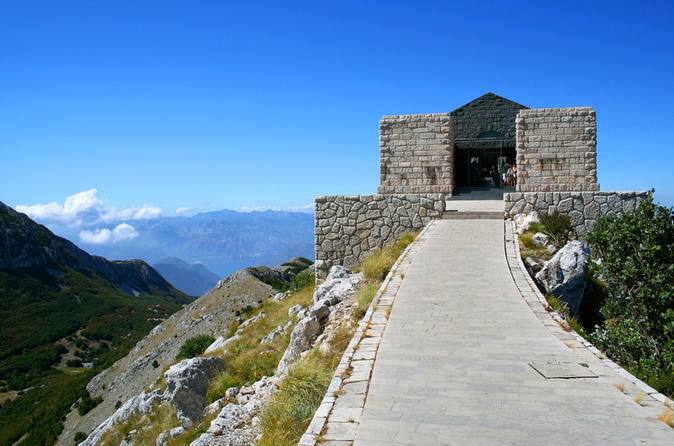 Lovcen in place called Jezerski vrh at an altitude of 1675 meters. The foundation of Mausoleum is less than six feet deep in the mountain rock. To get to the Mausoleum you must to climb the 461 steps. 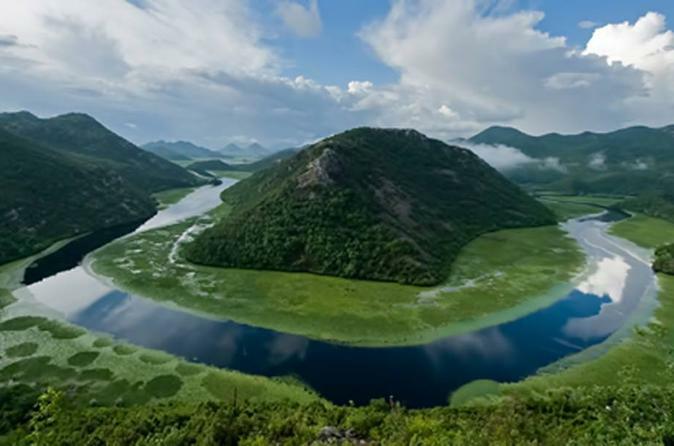 Skadar Lake is a wild wonder waiting to be explored. Indescribable and in many ways unique, with the size of 391 km2, it is the largest lake on the Balkan Peninsula and it is a crypt o depression, which means that in some parts the bottom of the lake is below sea level. Due to its geographic position and sub Mediterranean climate, it is one of the most important habitats of swamp birds in Europe, right after the river Danube delta. There are around 280 bird species on the lake, including the rare curly pelican, which become a trademark of the National Park. Territory of the lake is a witness to indescribable beauty with its overgrown coast, bays, capes and islands where numerous monasteries, churches and holy monuments are situated. 2.5 - hour speedboat charter for fast trips to and from Porto Montenegro, Kotor and all points around the Bay of Kotor and the Adriatic Sea including Mamula Island, The Blue Cave, Lady of the Rocks, Budva, Sveti Stefan and Herceg Novi. This twin engined boat cruises comfortably at 24 knots with 15 people aboard. Snorkeling gear is available on board for up to 10 persons. Travel fast and in comfort to anywhere along the Montenegrin coast. This is only RIB in the bay featuring a full length bimini to stay out of the sun while traveling in style. This is a shore excursion from Kotor bringing you to Budva Old City, the most beautiful city on the coast and the oldest city (2500year) in Montenegro. The trip duration for about 2-3 hours. 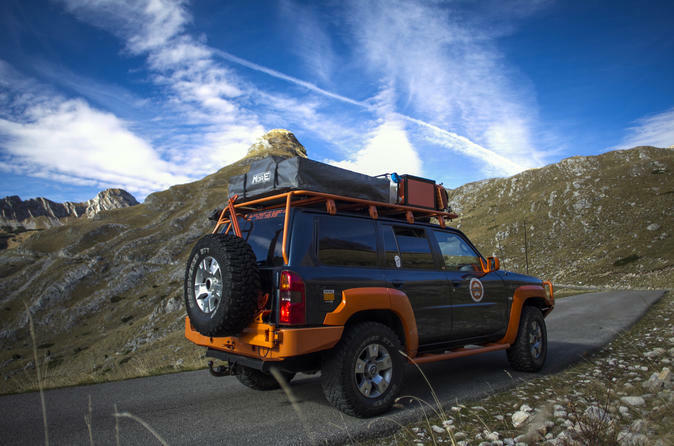 Your unforgettable impressions guaranteed if you go for this private off-road tour in Montenegro with an overnight stay by specially equipped Nissan Patrol. You will be lead by a friendly, informative and professional guide! 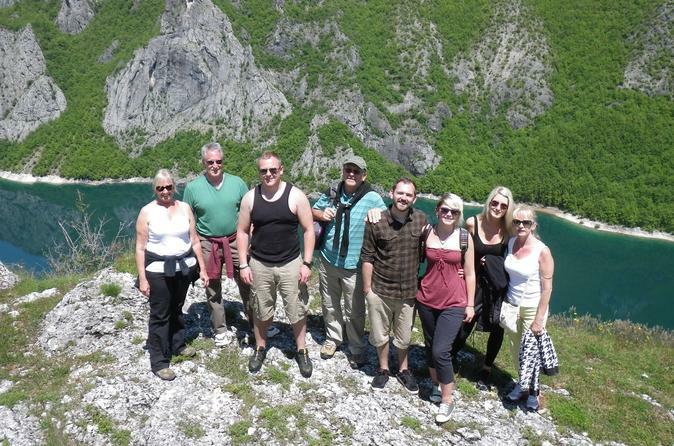 Exciting Montenegro tour of the Nevidio canyon. Nevidio canyon is largest canyon in Europe. Experience wild beauty through 300m deep canyon with crystal clear water. The trail is 2 km long with swimming, walking and diving. River Komarnica floats through last conquered canyon in Europe through brinks of beautiful Durmitor mountain. 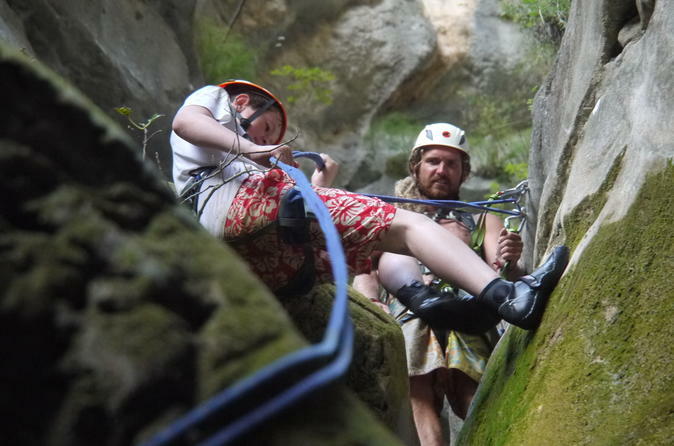 Enjoy all excitement and beautiful nature with experienced guides. This 8 days long multi-activity holiday will take you on an exciting journey through Montenegro, allowing you to explore both, the spectacular landscape, fascinating cities and coast line of Kotor Bay and the lakes, canyons and picturesque scenery of the rugged north. Not forgetting savoring the culinary delights and domestic wine & liquors that all of Montenegro has to offer! 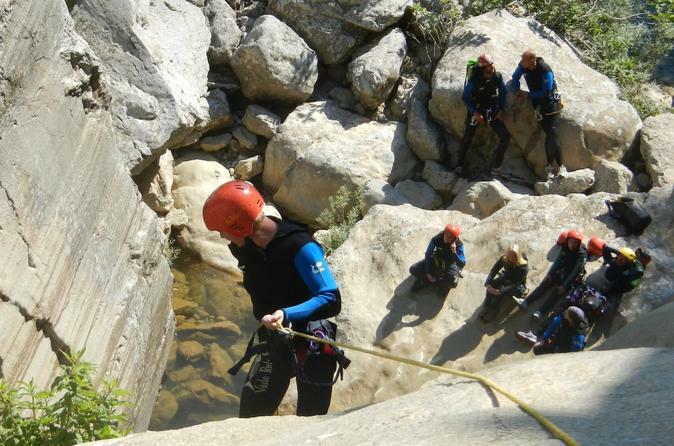 This adrenaline filled two-day package combines the adventure of canyoning in Europe's last discovered canyon with the thrill of rafting the rapids of the Tara River. Stay is in traditional wooden/stone cabins in an ethno-village overlooking the stunning Piva Lake, full-board accommodation. Experience the best of Montenegro in this 3-day tour. Take part on a thrilling rafting tour, a moderate and a casual hike and a relaxing cruise on the Piva Lake to marvel at the breath-taking scenery. Your full-board stay in traditional wooden/stone cabins in an ethno-village overlooking Piva Lake is the perfect place to unwind and relax after your activities. The Tara river canyon is the longest canyon in Montenegro. It is 82 kilometers (51 miles) long and is 1,300 meters (4,300 feet) at its deepest, making it the deepest river canyon in Europe. The canyon is protected as a part of Durmitor National Park and is a tentative UNESCO World Heritage Site. Tara river canyon is also second deepest in the world after the Grand canyon. 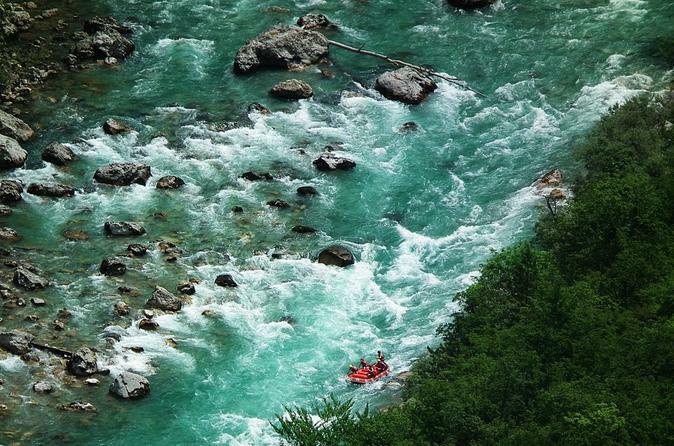 Rafting on the Tara River from Brštanovice to Scepan Polje -18 kilometres of beautiful scenery and 21 challenging rapids. Tour which covers the pearls of Boka bay: Perast with Our Lady of the Rocks Island and Kotor Old Town. 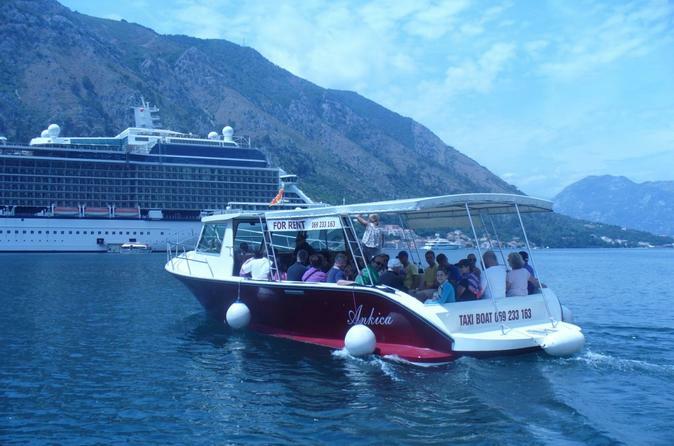 This tour is perfectly suitable for those with limited time in Kotor, especially for cruise ship guests. 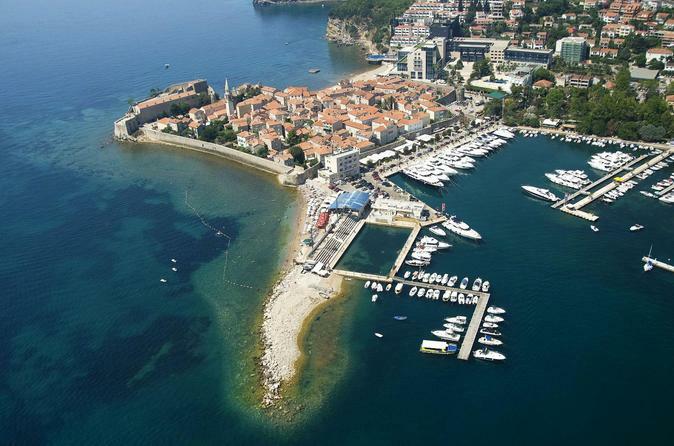 This is a mini Montenegro tour where you will see old city of Budva, Sveti Stefan, Cetinje, Njegusi. The duration of this excursion is 5-6 hours and you will be transported in vehicle for up to 4 passengers. Meet the locals in Lake Skadar area and explore their unique gastronomy heritage. 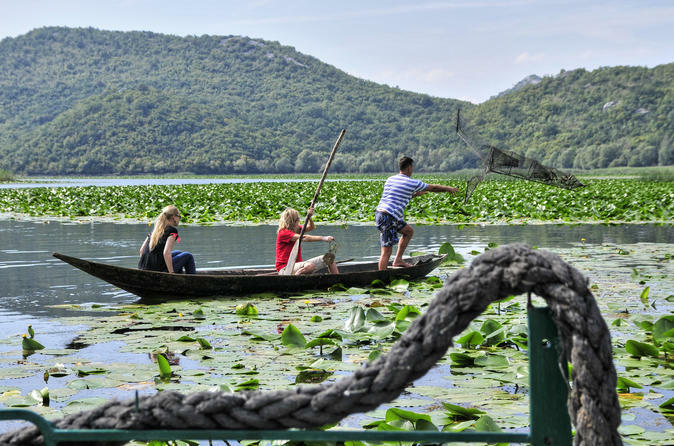 During this boat trip through lily pad carpets in Lake Skadar with local fisherman, learn which kind of nets are used for fishing different kinds of fish. Tasting smoked local fish and a glass of homemade grappa. Next, visit a honey and wine producer who will lead you through the vineyards of a very Montenegrin grape. Taste local home made food with recipes typical for Lake Skadar area. 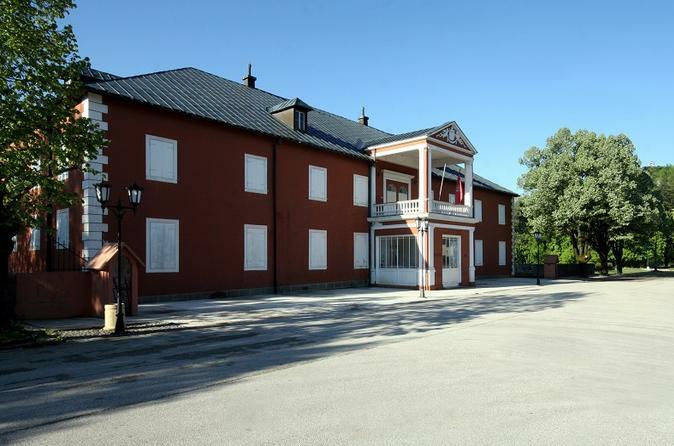 During this tour you will have opportunity to visit Old Royal Capital of Montenegro - Cetinje and discover secrets and legends of Montenegrin Royalty. 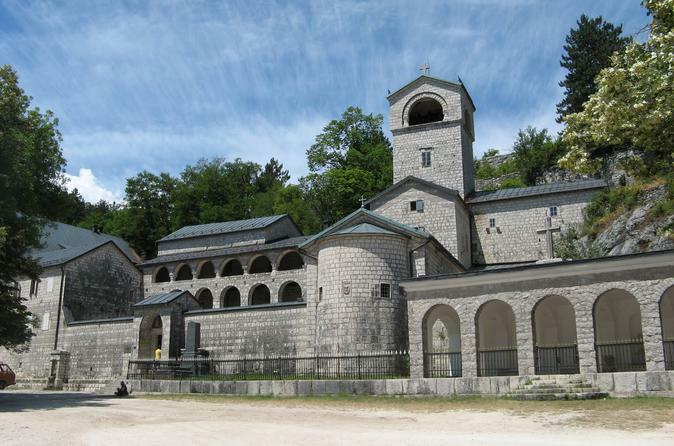 You will visit King Nikola Museum and Cetinje Monastery, very important religious and historical center of Montenegro. The Monastery treasures two great Christian relics: the hand of Saint John the Baptist and a piece of the Holy Cross. After visiting this little town, your will continue your way into direction of Negusi, village where great Montenegrin spiritual and poet Njegos was born. Here you will taste traditional Montenegrin food: domestic smoked ham, cheese and drink “medovina". After tasting, you will return back to Kotor via old Austrian “hair-pin” road, where you will have a small photo breaks for taking pictures of spectacular Boka Bay and for enjoying in a charming view. 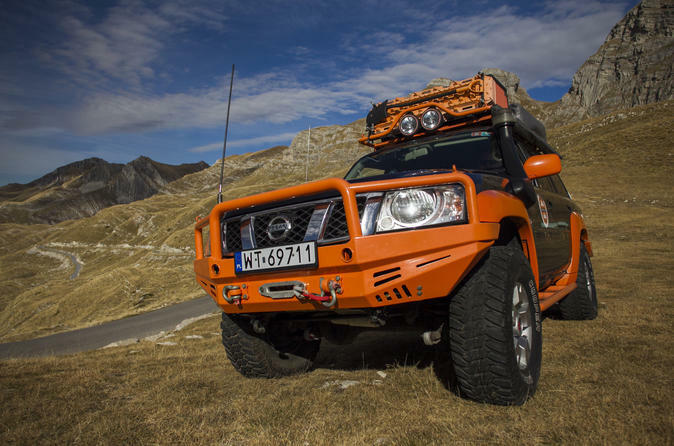 Only positive impressions from our private off road tour in Montenegro by specially equipped Nissan Patrol! You will explore an abandoned Yugoslavian military bunker situated on the seashore. You will also see the Austrian fort - Arza, situated at the entrance to the Kotor Bay, opposite the famous fortress Mamula. In the summer, it is also a great spot for swimming. Finally, you will visit Forte Rose (and may also have a late breakfast in the restaurant). On this tour you will have opportunity to feel the taste of healthy organic food and to enjoy in clean air and beautiful nature. Intimate and acclaimed olive oil tour offers a warm, gracious and informative escape from the everyday. 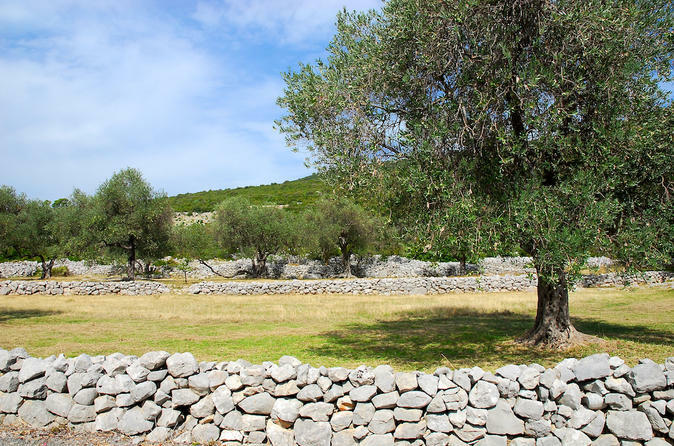 Tour will start with visit to olive grove where you will be received with a welcome drink and where you will learn about olive cultivation, harvest and artisan methods of olive oil production.